Its extremely mild and effective formula cleanses your face, removing make-up and impurities, while being gentle on sensitive skin. The Palazzo Massaini Oat milk, together with a special selection of ingredients, helps soothe even the most demanding skin after cleansing. Its delicate and ultra-creamy texture leaves skin soft and velvety. Complete your cleansing routine using the face toner. 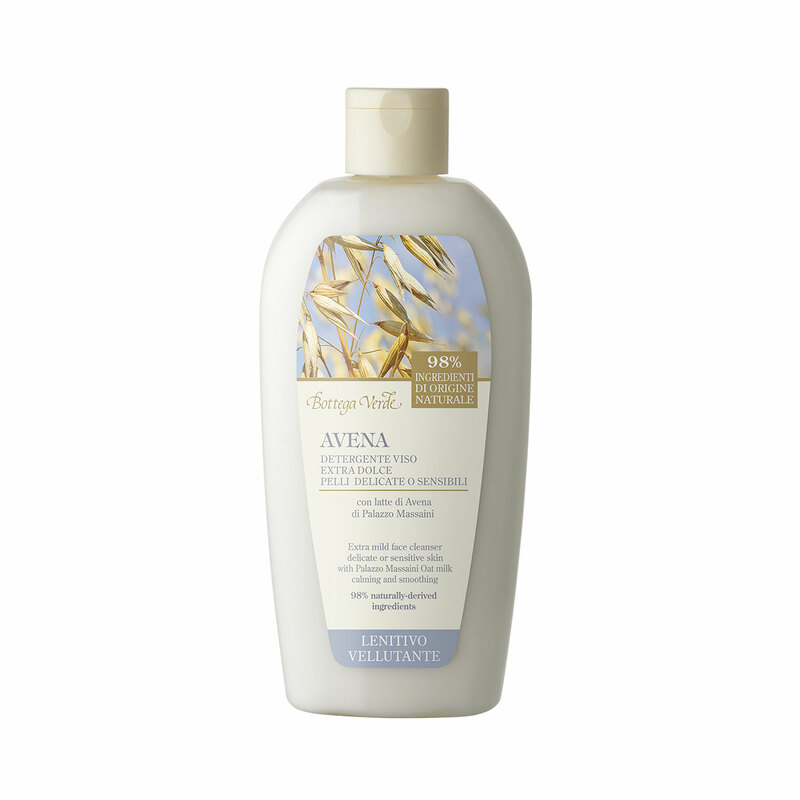 Its extremely mild and effective formula cleanses your face while being gentle on sensitive skin. Its ultra-creamy texture leaves skin soft and velvety. Complete your cleansing routine using the face toner. Formulated to minimise the risk of allergies. Direction for use:Apply a small amount of cleanser in the morning and evening and massage to remove impurities and traces of make-up. Rinse thoroughly with warm water. For an even more delicate cleansing routine, remove the product with a damp wipe or cotton pad. Suggestions:Recommended for demanding, sensitive, and dry skin. Characteristic:Choose it if you want a product that contains no parabens, formaldehyde releasers, SLES, colourings, mineral oils, silicones, ethoxylates, EDTA.